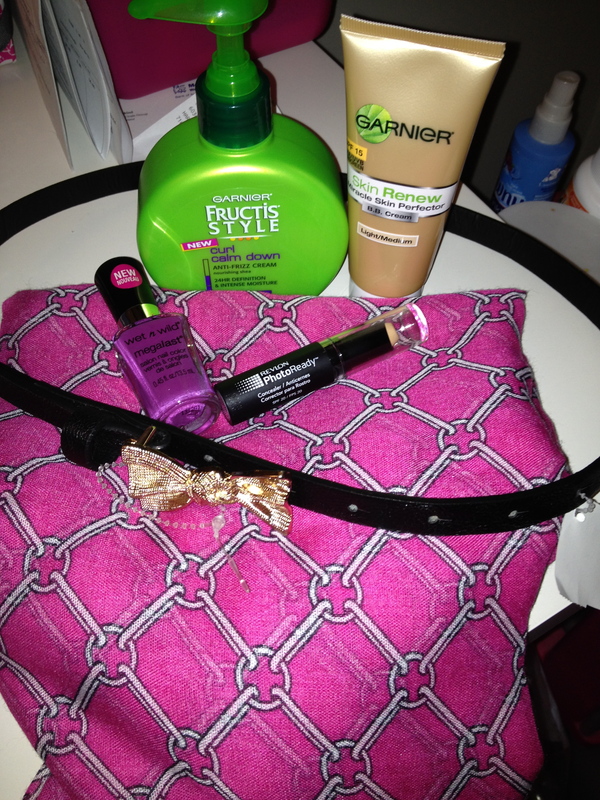 Thank you to Practicing Pretty for tagging me as one of her favorite blogs to read! 1. What is your go to makeup brand? I tend to use many different brands on a daily basis but I’ll go with MAC. I typically use about 3-5 MAC makeup items in daily (including brushes). However, all the other items I use vary! I guess this wouldn’t count as a trend of 2011 because I’m sure it was a trend a long time ago but I would say color blocking! I love being able to match up different colors and not have to worry about matching. Same goes for not having to match your shoes to your purse! Can’t just pick one, especially after trying some amazing rice pudding so I’ll just say anything with chocolate. Every time I try and fall in love with a dessert, it always seems to be chocolate! None, but sometimes I wish I had one! 6. What’s the last song you listed to? Kitties! 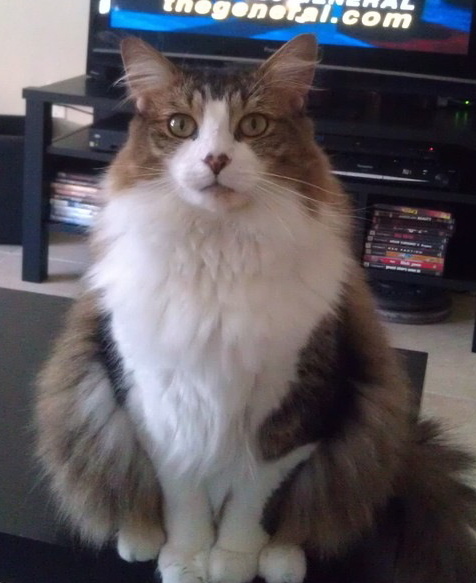 I have a lovely cat name Chichi and I love her! 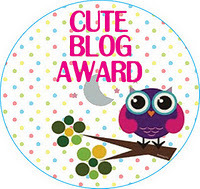 On to my Cute Blog Award Winners! I love to read all these blogs so take some time and check these ladies out! I want to Tag anyone who reads my blog! I’m a big fan of finding a good nail polish at a good price and I think I have finally found the perfect nail polish at only $2! 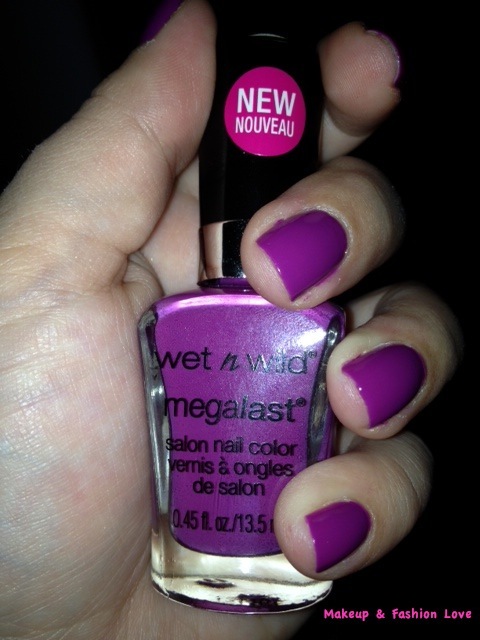 As I mentioned in my first blog about recent bought items I got a new shade of the Wet & Wild Mega Last nail polishes in Through the Grapevine! Today I applied the color and absolutely LOVE it! 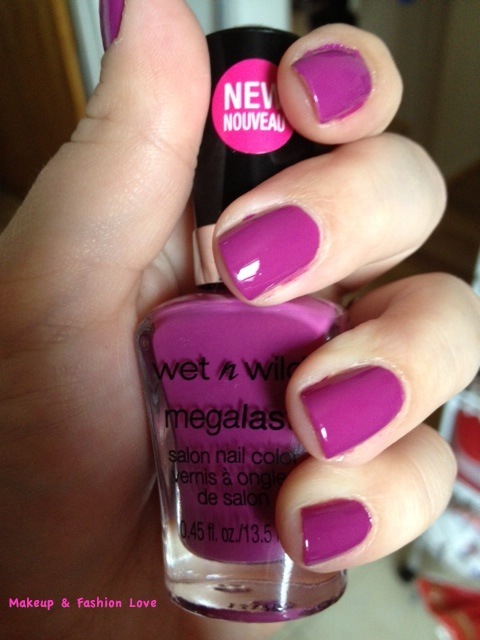 It’s a perfect plum color for spring! My favorite part of this nail polish is the brush! It’s curved at the sides so it makes the application extremely easy. I’m also extremely impressed with the quality, color and staying power. This is the second shade I own from this line, first one I got was Tropicalia and it lasted almost two weeks! For this plum shade I applied 2 coats which by the way I could’ve gone with just one because the color is amazing! This is the shade with flash! And without! This is the more accurate color, the flash definitely gives it a more purple tone! I hope you guys enjoy reading about this nail polish! It’s definitely worth a try at only $2! There are a lot of other colors available in the line so if you go try any of them please let me know how you like them! I know this isn’t beauty or makeup related but you guys need to try this place! 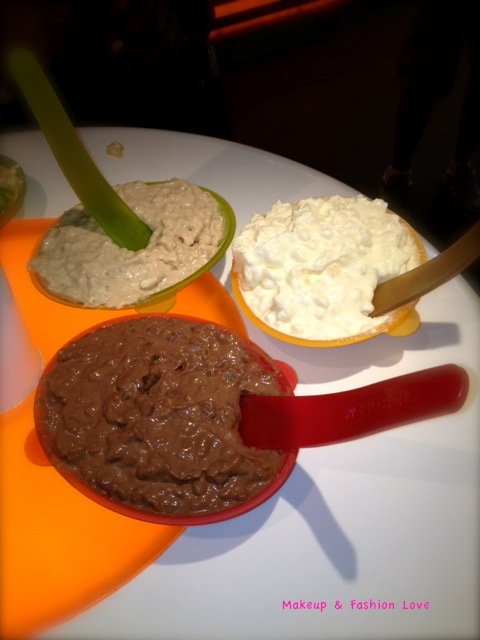 It’s in Soho area of New York and it’s called Rice to Riches. It’s the cutest store with tons of flavors that you can sample before purchasing. 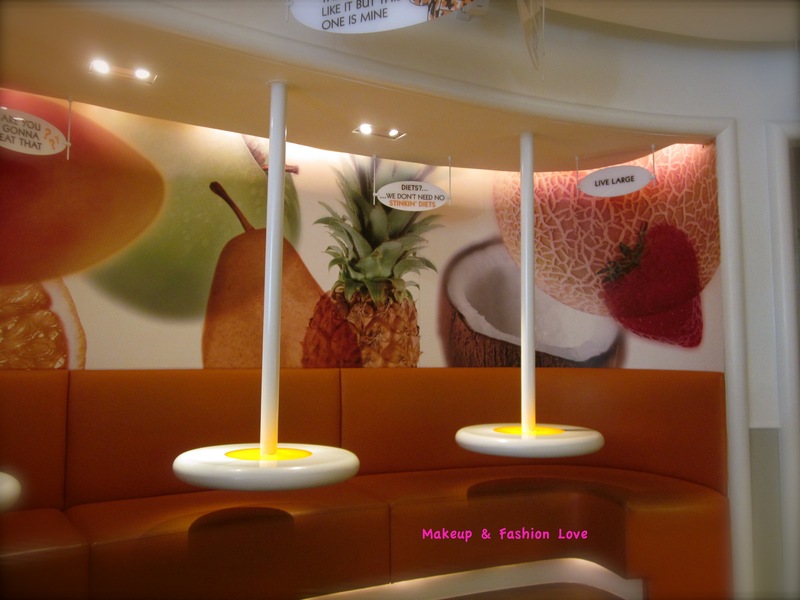 This is what the booths look like! Isn’t it cute? Check out the signs! They have those all over the store! Here is the reusable containers it comes in. It may look small, but they really pack as much pudding as they can in there. Each serving costs $7, so worth it! 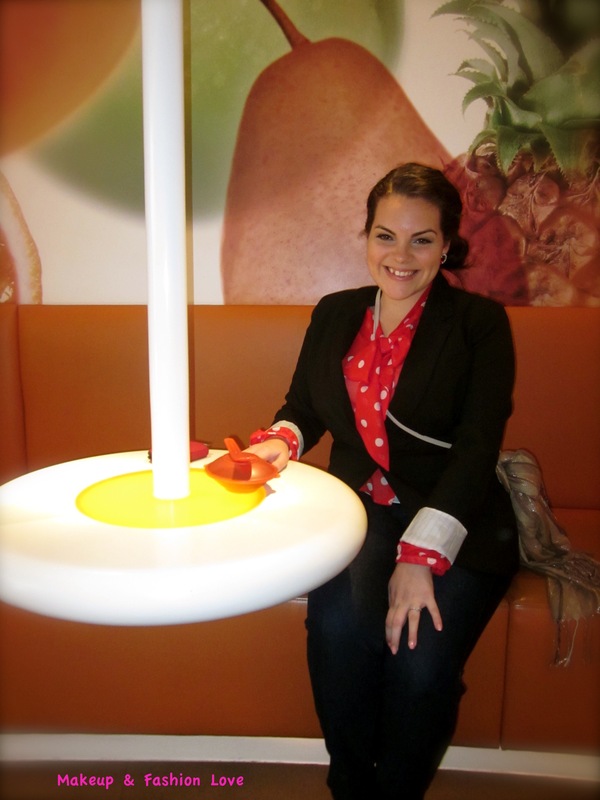 Here I am sitting in the cute booths waiting to enjoy some good rice pudding! Thank you to my beautiful coworker, Ashante, for suggesting this place! Anyone tried this place before? If you have, let me know how you liked it 🙂 Also, let me know if there are any other good places that I should try in NYC! I’m leaving in June! 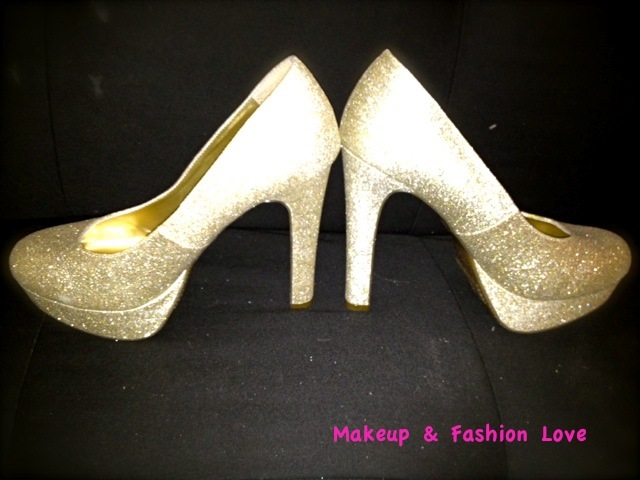 This is the best list of shoes every woman needs! I’m missing the heel boots! I thought this list would be easy to compile, but it took some thinking, thinking about rainy days, work, sunshine, date night, baby showers, drinks with the girls,running errands and daily life as a whole. 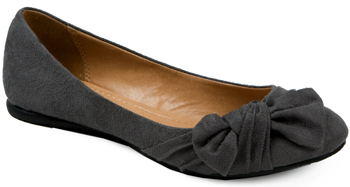 If I had to throw away ALL but 10 shoes (tearing up just thinking about it) these would be the 10 I would have to KEEP! Here we go…. …I compiled this list assuming every woman already owns sneakers and flip flops. I’m a sucker for a good bargain so you can always find me at the sale section digging through the mess for that hidden gem that needs to come home with me. Now I know that you may not be able to find the things that I have purchased but I just want you all to see the stuff that I’ve found to maybe inspire you to go out hunting at your favorite store! Here are the items I’ve scored! I got these pretty recent, about 2-3 weeks ago from my local target. I know I’m pretty late on this trend but I hadn’t found a pair that I’d be willing to spend my money on until I spotted these at the sale section at target staring at me. 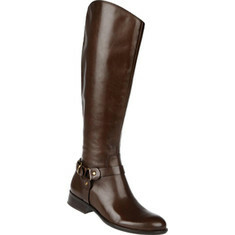 They so happened to be my size and at an EXTREMELY reasonable price, so I snatched them. 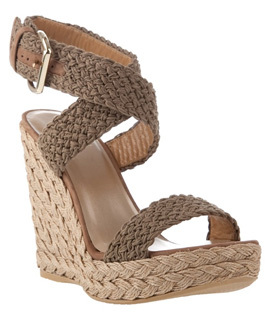 I haven’t worn them yet but I anticipate them being extremely painful but at least I will look really cute. Wouldn’t this look cute with my last Weekend OOTN? I found this at H&M while shopping for my friend Denise and I got it because I realized that I don’t have a good shoulder bag. 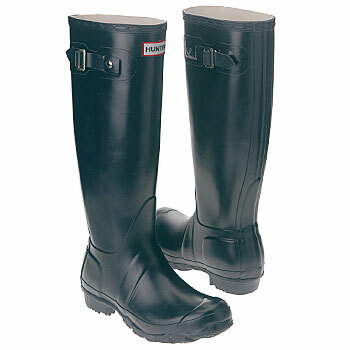 Especially for when I travel, it has become very handy! So many things fit in it! 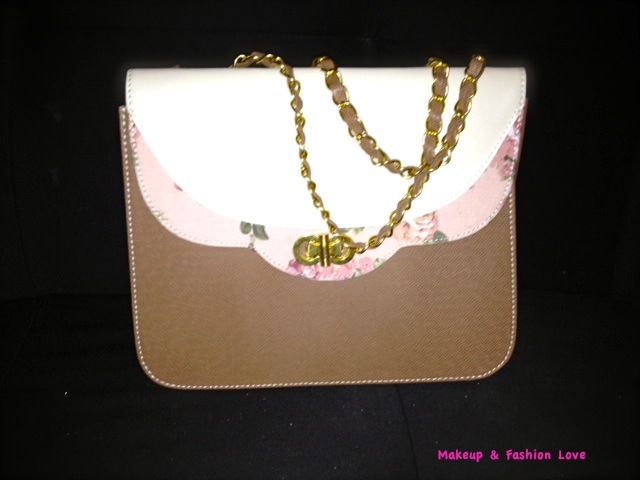 This past weekend I fit a pair of wedges, a blazer, a book, my makeup bag, wallet and a few other things! It also has a zipper so I feel like I can stuff as many things in it without anyone looking at what I have. This is another unworn item that my roommate and I both snagged at the sale section of H&M. We both liked the pink trimming and the flattering length, it’s not too short and it’s not too long. You know that moment when you see something that just catches your eye and just jumps at you? 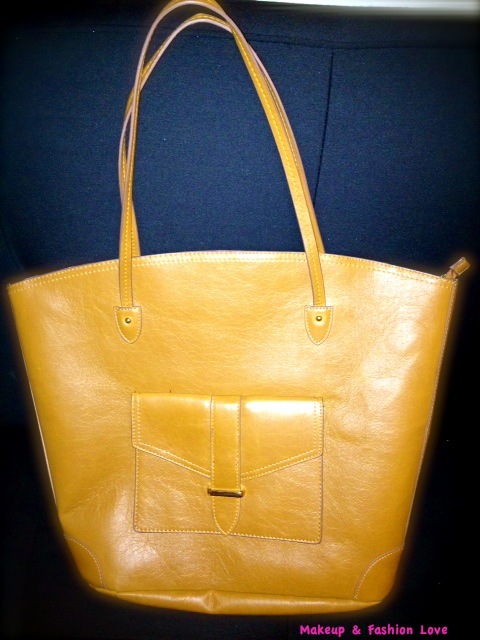 Well that’s what happened with this beautiful bag. I knew I had to grab it and run (not literally) because at Ross things don’t last too long! 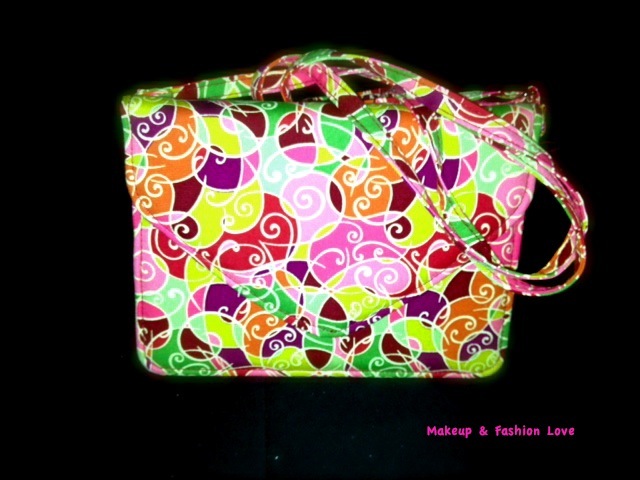 I found this cute small bag with amazing colors for under $7 at my local Marshalls. I was really excited about it, and bought it on the spot. I don’t always buy bags from Marshalls because they are more on the pricey side so I was pleasantly surprised to find this one. Hope you all enjoyed reading about some of my favorite bargain finds! As I mentioned before, I hope this post inspire you to dig through those sale racks to find that hidden gem! Let me know what are some of your favorite bargain finds or places to find great deals! P.S. I’m still trying out the BB cream and it’s going pretty well but still setting it with a powder. Also, used the curl calm down cream and no taming. I’m kinda sad about it but I’m going to give it another try! I’d also like to give a big shout-out to my friends, family and coworkers for all the support! Love you all! Special thanks to Yarlen for giving me a bunch of makeup years ago that served as my inspiration! Now on to the red lipstick! I know what you’re thinking, summer is coming along, time to put away the red lipstick and bust out the other bright colors. Well see I LOVE red lipstick and think it is so flattering on so many people who I consider it a year-round staple in my makeup bag. I have a few favorites that I have accumulated throughout the years but still wish I had a few more! This is a great color for my light complexion! It’s bright but looks good and makes my teeth look white! 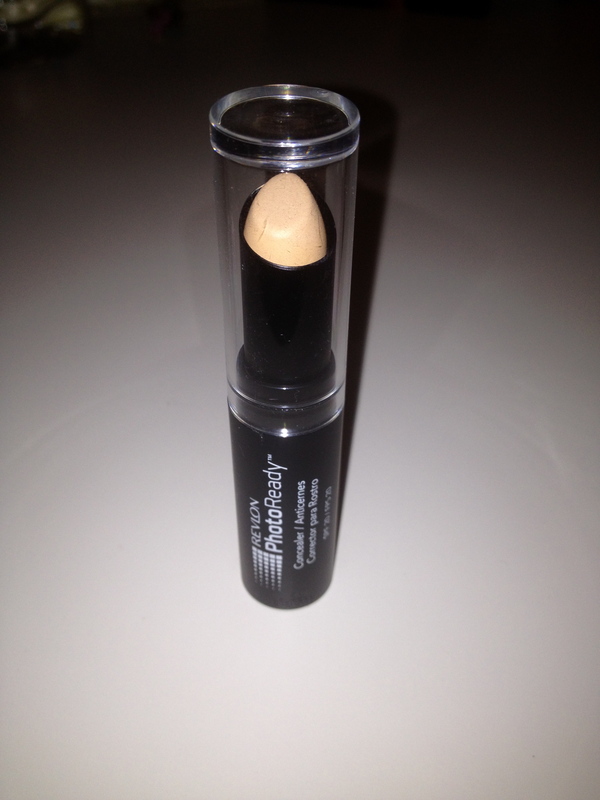 It’s great with staying power but it may be a little drying since it’s a matte formula. This is a beautiful dark shade of red that compliments many skin tones! It may look scary but once you give it a try, I promise you will really enjoy it! I got this one when all the hype about Lip Butters started just to see if I would like it as well. I will say that I like it but the staying power isn’t as good but I really enjoy the color and the moisture because I don’t have to worry about it drying out my lips or having to apply lip balm every single time. 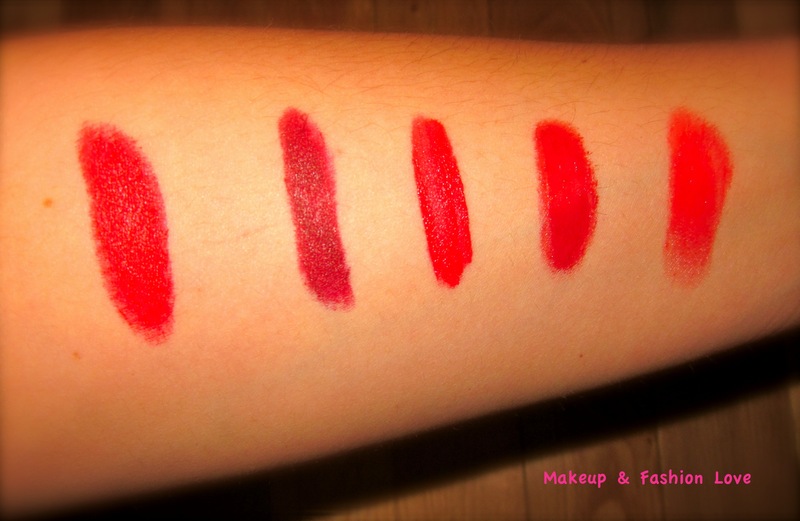 Quick Tip: Whenever I really need the lipstick to last a while, I use Jordana’s Easy Liner in Sedona Red to line my lips before applying the lipstick! Moral of the story: TRY RED LIPSTICK! 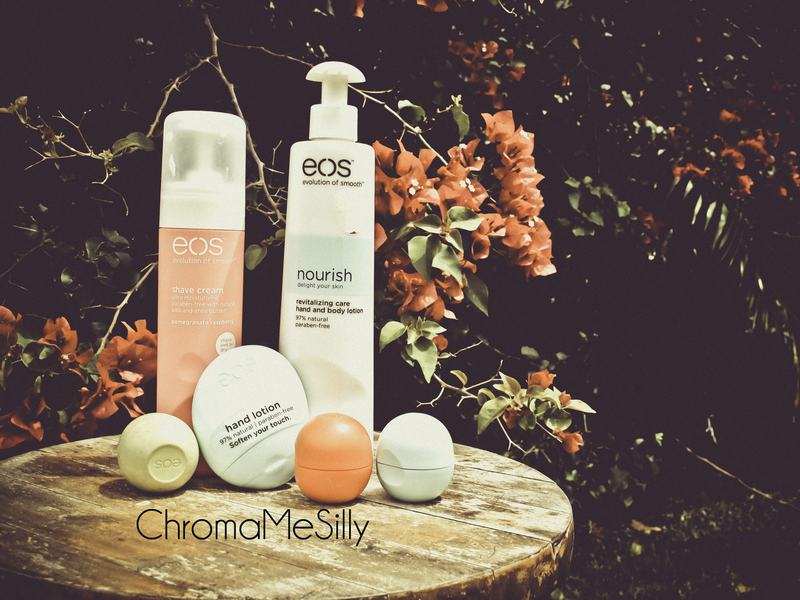 My Favorite eos Products + GIVEAWAY!!! Check out ChromaMeSilly! Love her style! Hey there all you pretty ladies! Im really excited about this post! Why? Because I love, love, love eos AND this will be the first of many Giveaways I host on this blog. But first things first! I wanted to share with you the eos products I cant live without! Lets get started! Lip Balm: Smooth Sphere: I have this balm in 3 flavors: Honeysuckle Honeydew, Summer Fruit, & Sweet Mint. All 3 are good enough to eat! And you probably could, considering its 95% organic, 100% natural. (did I mention Gluten, Paraben, Petrolatum & Phthalate free?!). All the flavors are chock full of vitamin E and Shea Butter to make sure your lips experience nothing but delicious, hydrating smoothness. I’ve proclaimed these as little bits of heaven for even the chappiest of lips. Definitely my number 1. This weekend I went to dinner at a really nice restaurant for my cousin’s birthday! I put together a cute but also comfortable outfit 🙂 I should have worn another jacket since it got colder later in the evening. 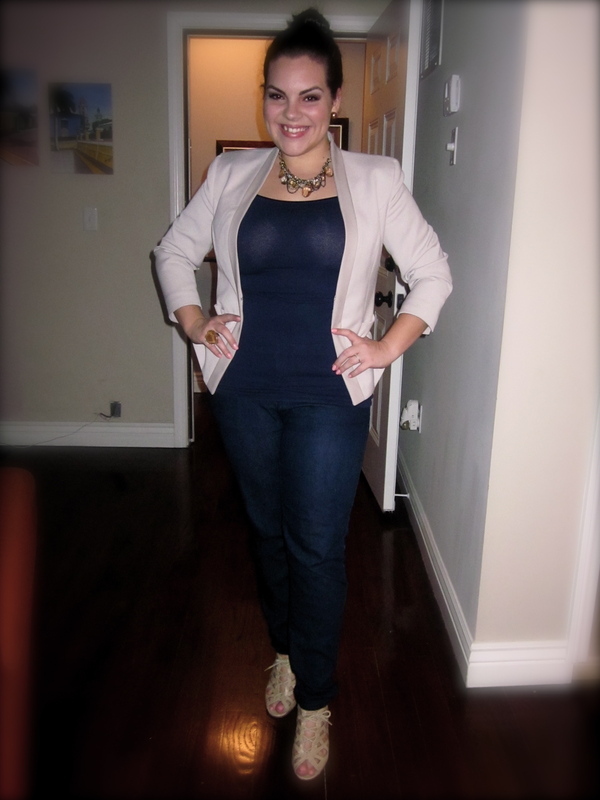 Blazer: H&M $19.99 *Got this baby for $17 with a 20% off coupon I had received in an email! Necklace: Body Shop $3.90 *This Body Shop is clothing and all their Jewelry is usually pretty inexpensive! Earrings: Miami Mart at Double Tree hotel. My favorite piece from this entire outfit is definitely the blazer! I couldn’t believe it was so inexpensive for such a nicely tailored blazer. It’s hard to find so I had to purchase it. This was also my first night trying the BB cream and I used my Studio Fix to set it because I was a little scared of it falling off my face! Yesterday I used it by itself, and I saw a little bit of shininess coming through my T zone. We’ll see what happens in the next few weeks. Today I used my studio fix again so we’ll see how it holds up for a full day. Hope you are all having a wonderful Monday! What’s your favorite thing to do on a Monday so that the day passes by quicker? * Everything mentioned was bought by me and are my own opinions! Welcome & Recently Bought Items! 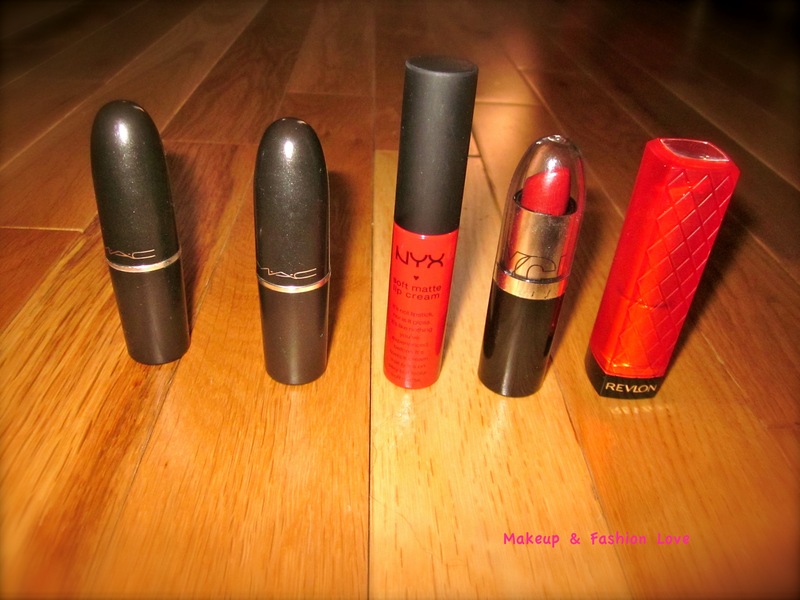 Welcome to my blog dedicated to makeup and fashion! I hope you all enjoy reading about what I love! Please visit the About tab to learn more about what you can find on this blog. This weekend I got a few things that I am extremely excited about! I was in Jersey and got to visit one of my favorite drugstores: Harmon Face Value http://www.harmondiscount.com! It always has everything at great prices and some extra coupons available most of the time. My family and I also stopped by a cute boutique name Dor L Dor http://www.dorldornyc.com/ that was recommended by a friend. 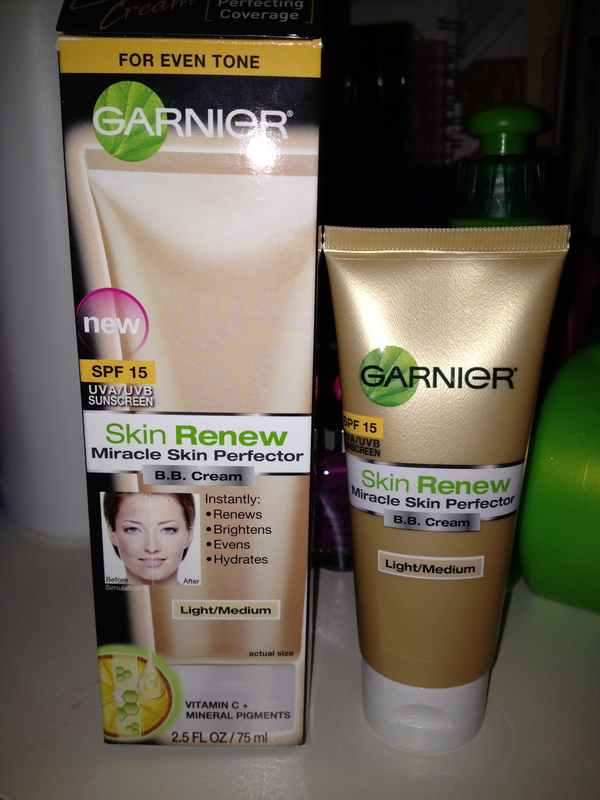 1st and most exciting product is the Garnier BB Cream! I know that the reviews have been a little up and down but I wanted to give it a try especially since some of the spring heat is coming through. First impression after I took the product out was that the packaging lied! It clearly stated that the picture on the outside is the “actual size” but if you see the product, it’s not true! I’m going to just ignore that and focus on the product itself! I have been dying to try this product for a WHILE, but seeing it’s ~13 or more price tag always made me a little uneasy. Until I found it for $7.99 plus a $1 coupon off today at Harmon! I had to purchase it and I’m so excited to try it! I’m adding this Curl Calm Down cream to my hair products for the summer since I plan to let my natural curls be in full swing! 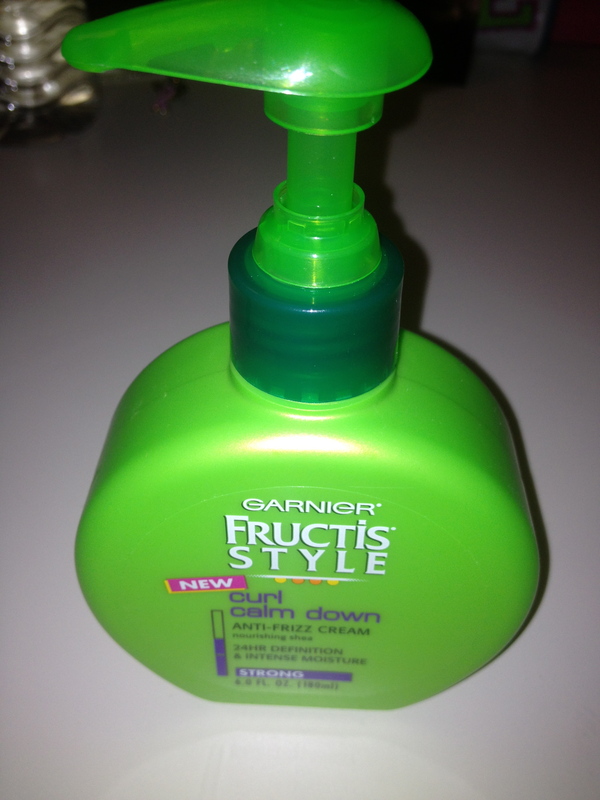 I already use the Smoothing Milk from Garnier, so I’m hoping this will be good to tame my mane! This will be the second bottle (other one I own is Tropicalia) of this nail polish that I buy and I absolutely love it! The different brush shape really makes a difference and the staying power is better than the Orly polish I have on now! 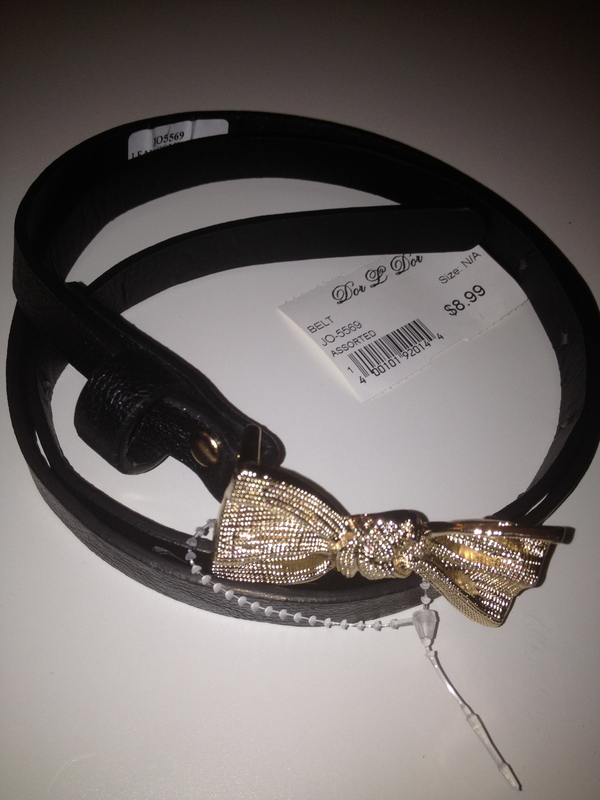 When I saw this belt, I had to get it! I’ll post pictures when I incorporate this into an outfit. 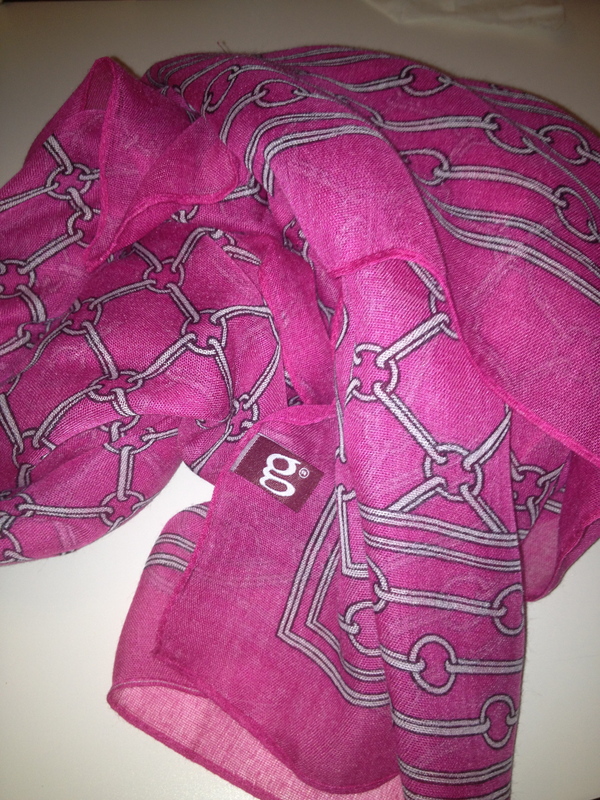 Last item was this beautiful pink scarf! My friend had this on today at her Deli and the color was just beautiful! My aunt was nice enough to purchase this for me as a gift! Can’t wait to wear it! Like I mentioned before, I’m really excited about all of these items! If anyone has tried any of the products mentioned, please let me know how they worked out for you!